Governor Dave Heineman has named Lt. Governor Lavon Heidemann as Chair of the Nebraska Information Technology Commission. Lavon Heidemann is a farmer, livestock producer and a volunteer firefighter. He was appointed as the Lt. Governor of Nebraska by Governor Dave Heineman on February 13, 2013. In 2012, he was elected to the University Of Nebraska Board Of Regents where he served until his appointment as Lt. Governor. Prior to his time as a Regent, Lt. 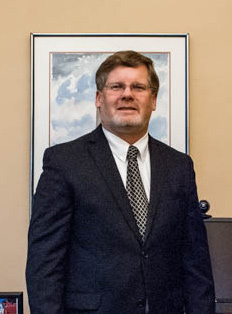 Governor Heidemann served as a State Senator for Legislative District One from 2005 to 2013. As a member of the Legislature, he served as Chairman of the Appropriations Committee for six years. Lt. Governor Heidemann was elected to the Elk Creek School Board in 1996 where he served until he was elected to the Legislature. Previously he served as a general foreman for a drilling company in Anchorage, Alaska from 1983 to 1995. He has been active with a number of organizations, including the Midwest Council of State Governments, Agriculture Builders of Nebraska, Nebraska Cattlemen, Pawnee County Farm Bureau, the Southeast Nebraska Feeders and Breeders and the Elk Creek Young Men's Club. Lt. Governor Heidemann graduated from Elk Creek High School. He has attended the Midwest Council of State Governments' Bowhay Institute for Legislative Leadership. He has earned a number of awards and honors including the Leadership Award for the Association of Nebraska Ethanol Producers, 2012; recognition of Service, Nebraska State Volunteer Firefighter's Association, 2011; Harold Sieck Public Official of the Year, The Arc of Nebraska, 2009; Leadership Award in Recognition of Outstanding Leadership in Agri-Business, Omaha Agri-Business Club, 2009; Award of Excellence for Meritorious Service, Nebraska Cooperative Extension Association, 2009; and the Appreciation Award for Development and Funding of Education Center, Nebraska College of Technical Agriculture, 2009. Lt. Governor Heidemann was born in Pawnee City. He and his wife Robin have three children and five grandchildren.